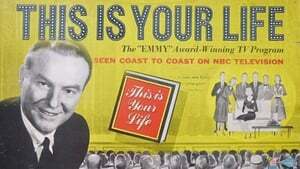 This Is Your Life is an American television documentary series broadcast on NBC, originally hosted by its producer, Ralph Edwards from 1952 to 1961. In the show, the host surprises a guest, and proceeds to take them through their life in front of an audience, including special guest appearances by colleagues, friends and family. Edwards revived the show in 1971-72, while Joseph Campanella hosted a version in 1983. Edwards returned for some specials in the late 1980s, before his death in 2005. The show originated as a radio show on NBC Radio airing from 1948 to 1952.